"Awesome quality and design. I love it. 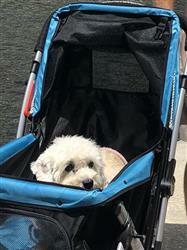 It has two different methods to attach to my pet stroller. Very useful for late night walking. " "Great quality and design. Spacious interior allows my dachshund to turn around and walk to any direction she wants. 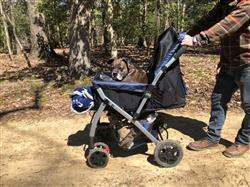 Recommend it to anyone who needs or wants a stroller to walk their precious pets. " "Great quality and large capacity. Recommend it to anyone who needs an organizer bag." "I am "more than happy" with this stroller! I went thru a couple smaller ones, trying to get something that would work for my 2 small but pudgy dogs! They are about 20 lbs each, and now have more than enough room and can also stretch out if they wish. 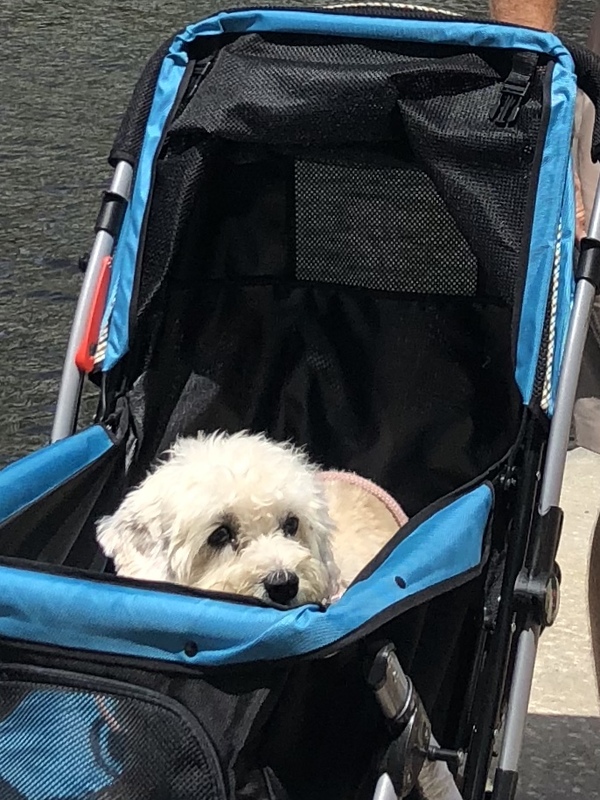 The quality is very good, the only problem I have is, not the fault of the stroller..... is that it does get heavy to push, but then again I am in my 70's....so I just think of it as a good work out! 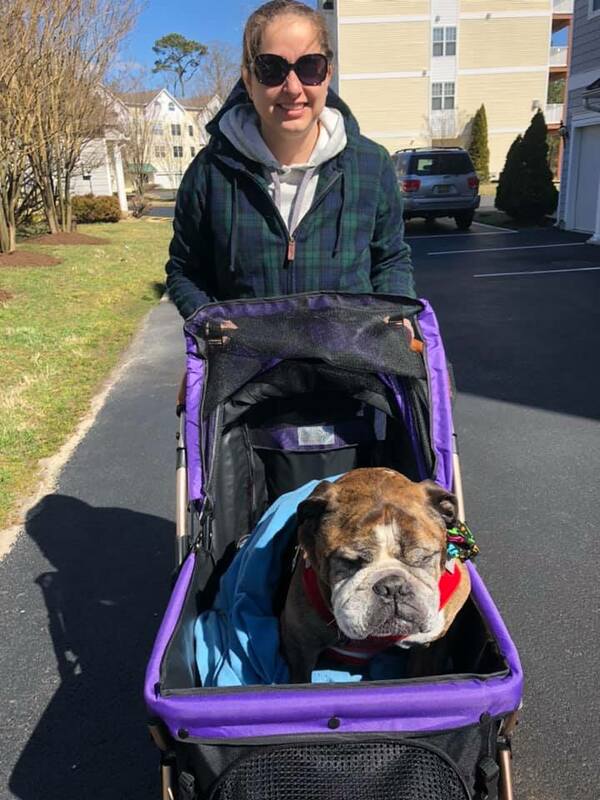 Thanks again, I would really recommend this to anyone with older dogs especially, mine are 14 and 15, and they truly enjoy the ride!" "The stroller was great. I had an issue with the wheels being wrong. Customer service delivered the correct wheels to me to my work themselves since I needed the stroller right away. " "Haven’t got stroller yet so haven’t tried accessories "
"I just had to get the stroller travel bag to complete it with the stroller. It will most obviously help prevent scratching and scuffing when not in use. The material of the bag seems durable and well made. It well worth purchasing to help preserve the life of the stroller. " "Its a great attachment to add to the stroller. I really like that it matches the 2019 blue stroller. It has many pockets. Its great to have when taking pets out of town or to an event!! I am very pleased with it. The material seems very durable and easy to clean." "I ordered the Prime stroller and I LOVE IT! The quality of the product is unmatchable. 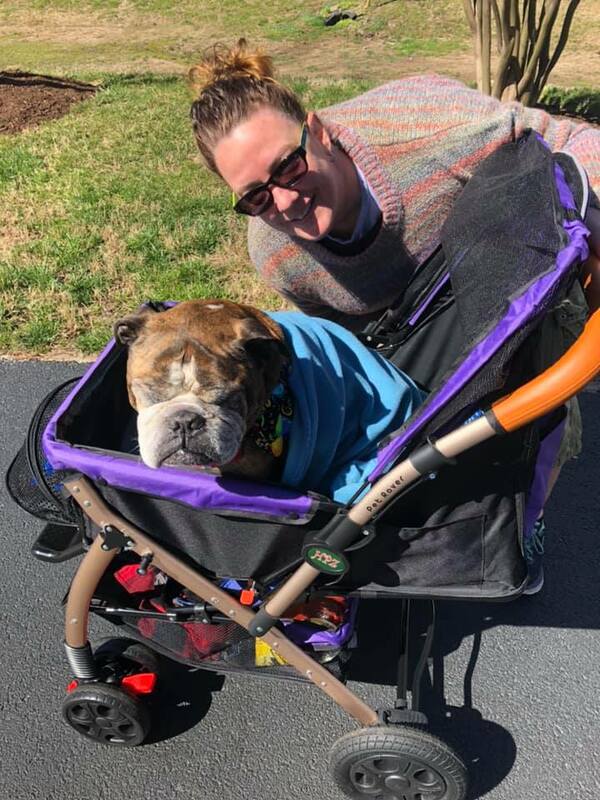 This is the only stroller that has a lifetime warranty and the customer service at Pet Rover is top notch! I am an HPZ Pet Rover girl for life! " Amazing product! I love it! "I absolutely love this product. It was easy to assemble no tools required and very lightweight. I used it for my paralyzed dachshund and it worked great! Thanks for an amazing product and design. It is very versatile and user friendly. No need for a car seat or carrier. It is all of this for u!!! Love it!!!! " "Love the room in the carrier, the convenience of just snapping in or out the carrier. It pushes with great ease and very well built. We had a small issue with the zipper and the company responded extremely quickly and will be replacing the carrier with a new one , they were very nice and gave me no issues . I recommend this stroller and carrier 100%"
"I was a little worried because I couldn’t believe such a perfect stroller existed. This stroller offers so much and has so many great features, I thought they would try to cut corners but no! It’s incredibly versatile and durable. The stroller is a such a smooth ride and the car seat function is wonderful. It’s really the best stroller for me and I would buy it again :))) "
"This stroller is perfect for my two dogs. They have plenty of room to move around and lay out. I get a lot of compliments on the excellent quality and look of of the stroller. This is the best thing I have ever bought for my two babies. I highly recommend the Pet Rover. Fast shipping and awesome customer service! " "Bought this because it was the only carrier that would allow me to take my cat on board the Virgin America flight. They have very strict requirements and very small under-the-seat space, which is the only place to put a pet on the flight. Overall a high quality product and I love the extra features. My cat loves it so much he still sleeps in it, even a month after my trip west. I definitely recommend this product. Easy to carry, and the feature that allows you to place the carrier on a suitcase handle is fantastic. Worth the price! " "We bought it to take our 16 lb Westie on her first cross country flight. It is the longest I found on Amazon, good width and height. Longer was more important than highest as this bag just fits under an airline seat. Nice study material. The black mesh allows air to circulate and in my opinion (can't speak for dog) allows them to smell us and perhaps provides more of a cave like effect. Our 15 month old slept through once she settled. " "Its a very useful organizer with plentiful storage for all sorts of stuffs. 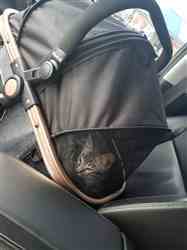 I don’t even carry my handbag whenever I walk my precious pets anymore." "I frequently travel with my pup by train and airplane. I had a carrier bag which literally fell to pieces. Now mind you, it was well used over a couple of years, so I have no complaints about the craftsmanship. However, it was uncomfortable to carry and airlines often questioned whether my dog would be able to comfortably fly in it. So recently I purchased this carrier, hoping it would resolve these issues and it did. It's very roomy and well made. I tested on the train before going on a long plane trip and my Jack Russel has never looked more comfortable!" "This is the bet hook for strollers. It’s very strong. 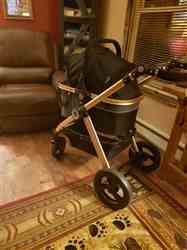 Love it"
"Gorgeous stroller and spacious. the range rover for pets!!!!!" "Love it, holds everything, so convenient. Made very well, lots of compartment so you can customize to fit your needs. Would definitely purchase again." Don’t second guess, just buy it, you won't regret it! "I just love it! My daughter wanted a puppy and wanted to be able to take him to the park (he doesn't have all his shots and we all know how dangerous that can be), and I wanted something more useful that wouldn't require changing carriers when transporting. This was it! My daughter can easily navigate and it's sturdy yet light stroller. 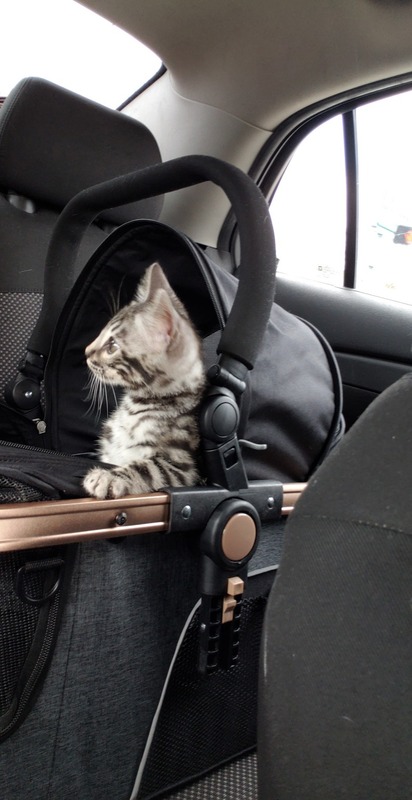 It's So easy going to the vet! " "Excellent product! The only problem I had was putting it together...but I'm not handy in first place. My friend's husband put it together without a problem." "I am a very difficult person to make happy. I'm the type of person that I don't even like to deal with. I bought this stroller for my wife to use. She loves it. I love how easy it is to use. I also love the many uses. I had some questions/concerns and contacted customer service via email. Very quick responses. Handled my questions/concerns promptly and even called me the next day to verify everything. Impressive product and impressive customer service. 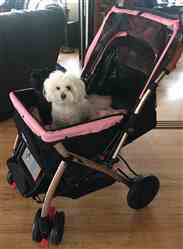 I would highly recommend this stroller to all pet owners. " "Very convenient and easy to use. Easy to clean too.. and super fast delivery. My dog weighs 60 lbs and it’s the perfect size for her with lots of room for storage "
Love this for my two mini doxies! 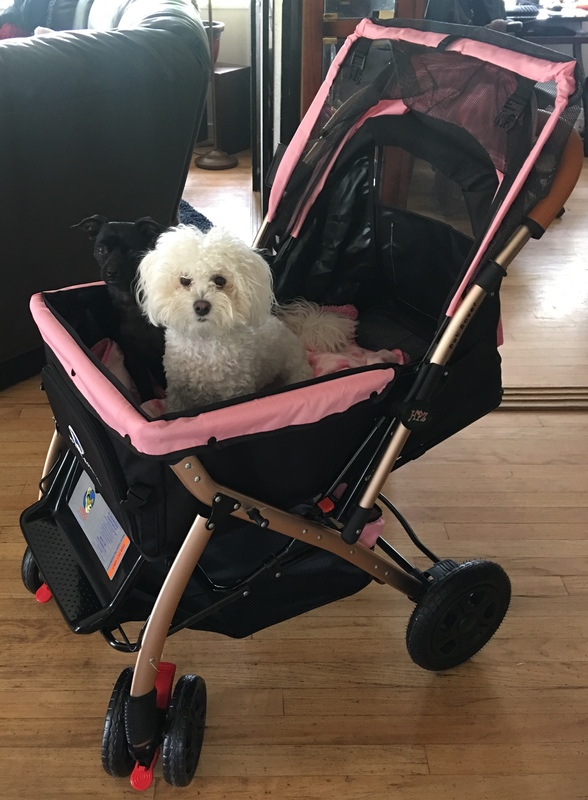 "Needed a stroller to comfortably fit my two mini doxies 11 and 8lbs. They have plenty of room and more! I love that Ican flip the handles so I can face them if I want. So far it has been great...no cons at all!" "My girl loves it, she likes things to be soft and comfy. Took awhile to figure out how to keep it's wanted shape. But all good..."
"Love this. Very durable and made of good quality material. " "Absolutely love this carrier! Easy to carry. And our bengal loves laying in it on a daily basis. Went to the vet yesterday and had 5 people stop me and ask where it was from "
"My 10 year old 965lbs) English Bulldog LOVES his new wheels. He has limited mobility and the rover has been a godsend so he can continue to "walk" and explore with us. He fits comfortably and is able to lay down but prefers being able to see out. Its sturdy and provides a smooth ride over different types of terrain. Assembly was super easy and it fits nicely in the back of my Jeep. Can't wait for more adventures!" 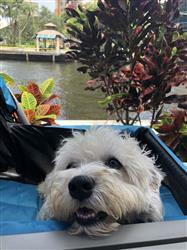 "We love this stroller and use it every day for our 26 lb Dandie Dinmont Terrier who is older. She loves to go on walks, but can’t walk far at all. Our stroller got lots of use and after 8 months the rear wheels started to bend in as the bearings broke. I called customer service and they shipped wheels the same day free! It’s rare today that you can talk to a Person and have any results. Thank you!"